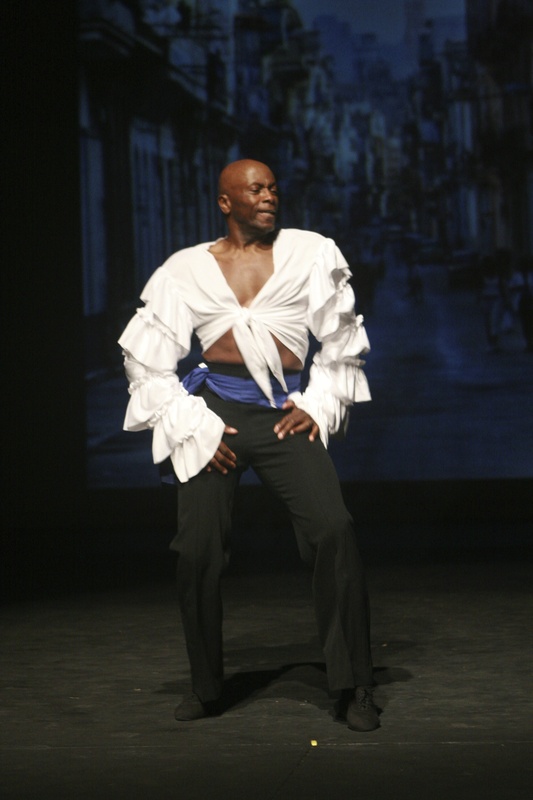 "Mambo" segment from The History of Black Dance in America 2015 Juneteenth Celebration show. When it came to improvised dancing with an emphasis on musicality, there was no one I though better suited to this than former Soul Train dancer Reginald T. Thornton. When I originally approached him with the concept in 2011 he was extremely hesitant. He did not think of himself as a Mambo dancer and didn't know any steps. I told him that the idea behind this was for him to make the dance his own. I picked out the music, "Mambo Diablo" by Tito Puente, gave him the basic steps, some ideas for musicality hits, and told him to listen to it and go wherever the music took him. Reggie took that advice and came back with a routine that stopped the show in 2012 and again in 2015.